In this house, we tend to do our St. Patrick's Day celebrating a little early due to EJ's birthday being so close to it. So this past week, we got started. I made this shamrock garland for our living room and even added one four-leaf clover in the center. Our sweet treat was something new. 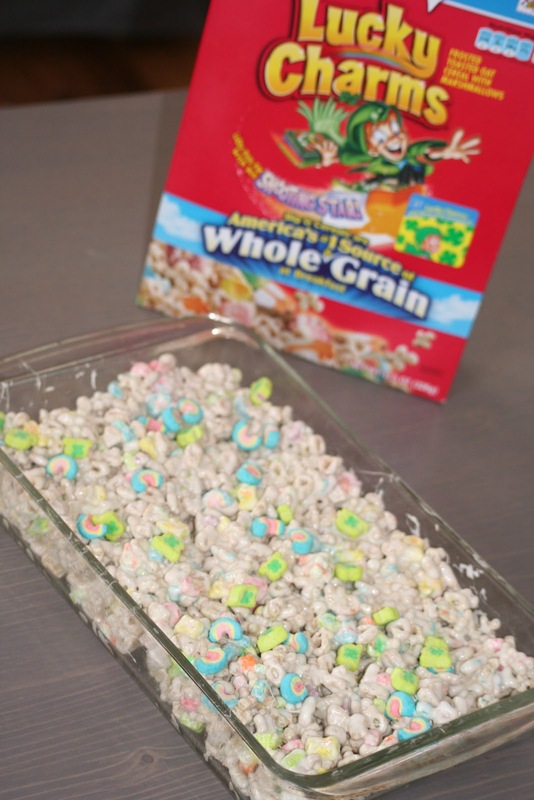 These lucky charms treats were so easy and really yummy! 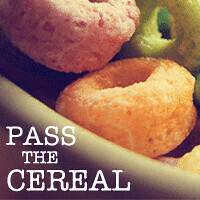 I made a batch and a half, and then picked out rainbows and hats from the remaining cereal to place on top of the treats before they cooled. Big hit with the kids (and the grown-ups too) in this house! Sending some St. Patrick's Day cheer? Nellie has a free printable greeting card available on her blog just for you! 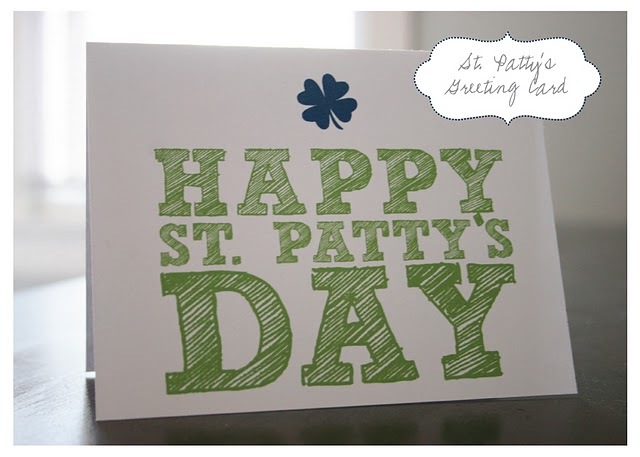 Print, cut, fold and send off some Irish cheer. St. Patrick's Day itself will probably be celebrated quietly in our house, but I usually make sure to add a little green dye to the milk and beer at the dinner table. So simple, but always brings a smile! love the 4 leaf lucky clover in the middle!! cute cute garland!! I actually saw the 4 leaf-er prior to you or Jack pointing it out to me. Nice touch!